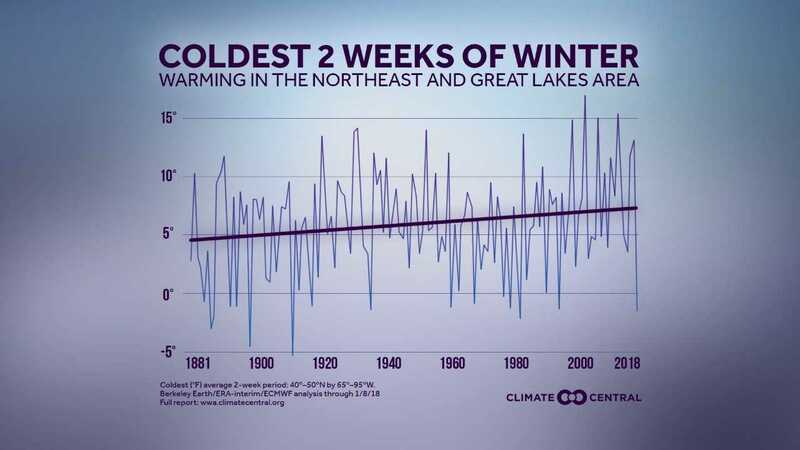 A new “attribution” study says the recent Arctic Outbreak (late December 2017, early January 2018 in the Great Lakes, Ohio Valley and Northeast) was the 6th coldest on record since the late 1800s and the coldest in over 35 years! But how is this possible in a warmer climate? Dr Claudia Tebaldi joins us from NCAR to talk about the study. She says the odds of an extreme cold outbreak of this magnitude are now just 1 in 200+ years because of our warmer climate! You can also read more about this study here.